Convert video to virtually any format & 6X faster than before! 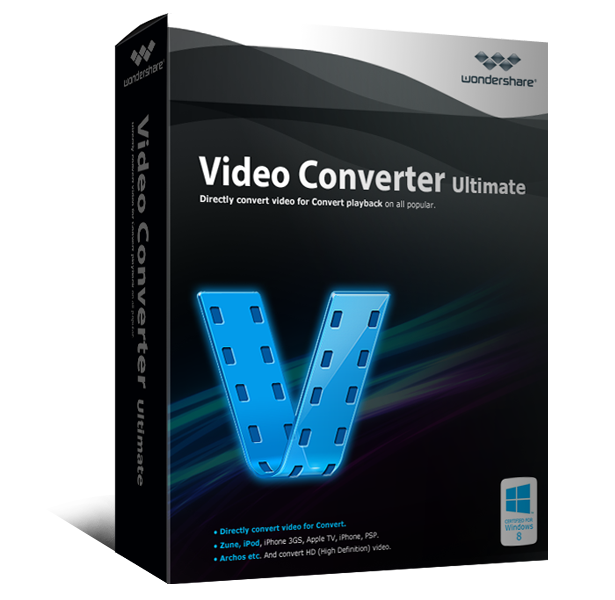 Wondershare Video Converter Ultimate is a blazing-fast drag-and-drop digital video converter, DVD burner and converter for Win (Win 8 available), which lets you convert videos/home DVDs to and from virtually any video format out there, with 30X faster conversion speed. Stop limiting your video entertainment options on your PC. Make your movies versatile by instantly converting them to popular formats. Convert 30X faster than other converters (Windows 8 supported here). Convert video to 158 formats. 1. Import your DVDs, DVD folder, ISO or IFO files by clicking "Load DVD". If you want to import video files, load them by clicking the "Add Files" button. Or, for a more direct method, simply drag your media files and drop them into the program window. 2. In the “Output Format” drop-down window on the right side of the program window, select a desired format or device to convert to. 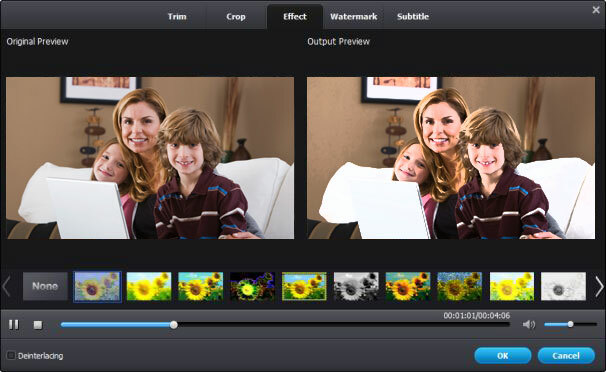 Optionally, you can adjust basic video properties such as resolution, frame rate and bit rate etc. by clicking the “Setting” button below. 3. Click the “Convert” button on the lower-right corner of the interface and then your video will be converted in no time. 1. Click the “Burn” tab to enter into the burning interface, then drag or add video files in the left pane of the Program window. 2. 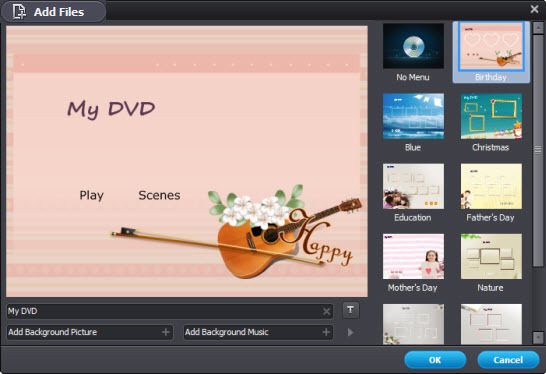 Click the “Change template” option on the right side to open the “Burn to DVD” window, where you can choose your favorite DVD menus, add special background music and pictures. 3. Insert a blank DVD, DVD5 or DVD9, and click "Burn". Before conversion or DVD burning, if need, you can trim, crop, rotate video, or add effects, watermarks, subtitles etc. To do all of this, just select a video or DVD title and then click the Edit image button beside it. If you want to merge two or more files, simply hold down the “Shift” button until you've selected all the videos you want to merge, and then click the “Merge into one file” option in the main interface. To download videos from video-sharing sites like YouTube etc: 1. Access YouTube or other sites using Firefox, IE, or Chrome. Find and play your desired videos. 2. Click the “Download” button appearing on top of the videos to start download them. 3. Alternatively, to download, copy the video URL in the address bar and then hit the “Add URL” button on the left side to paste the URL there. At last, click ok to add it to the download list.